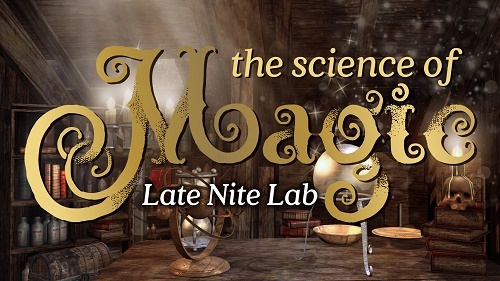 Tickets for SMO's Science of Magic Late Nite Lab are $18 per person for museum members, $20 for nonmembers and children under age 3 are free. Designed for families with children of all ages, SMO’s Late Nite Lab program offers a variety of unique activities connected to each lab’s theme as well as access to the museum’s permanent exhibits and live shows. During the Science of Magic Late Nite Lab, guests can craft chemistry concoctions, meet some almost-magical creatures, cast spells with computer programming, make and try a favorite wizard beverage, try their hands and wands at magical dueling, get slimy with troll snot, and much more. Family-friendly costumes are welcome. “The holiday season is magical – we’re making it even more so for wizard fan families with this Late Nite Lab,” said Kirsten Therkelson, museum educator for SMO. In addition to the magic-inspired activities, the night will include shows in the museum’s recently upgraded Kirkpatrick Planetarium at 7 p.m. and 8 p.m. and a Science Live show at 9:30 p.m. Seating is on a first-come, first-served basis for all shows. For families who need a dinner, a snack or a drink, the museum’s café will be open from 6-9 p.m.
SMO’s Late Nite Labs take place at the museum located at 2020 Remington Place in Oklahoma City. Tickets must be purchased in advance and are $18 per person for museum members, $20 for nonmembers and children under age 3 are free. Ticket sales will end at noon on Dec. 14. Guests are encouraged to arrive by 7 p.m.
For more information or to purchase tickets to a Science Museum Oklahoma Late Nite Lab, visit www.sciencemuseumok.org/late-nite-labs or call 405-602-3760.